The College of Health Professions will be the leading institution of excellence in health and human services, education, health care and research, producing highly skilled practitioners, educators, and researchers through high quality educational programs, meaningful experiential learning opportunities and the development of scientific and intellectual inquiry for the promotion of health equity in the Rio Grande Valley and beyond. The pathway to improving the health and well-being of the Rio Grande Valley in South Texas and the world begins in the College of Health Professions at UTRGV! Health, as defined by the World Health Organization (WHO), is a state of complete physical, mental and social well-being and not merely the absence of disease or infirmity. This definition of health has not been amended since 1948 and embodies our work as a college. As the leading institution of excellence in health and human services, education, health care and research, our main goal is to produce highly skilled practitioners, educators, and researchers through our 25 high quality educational programs. 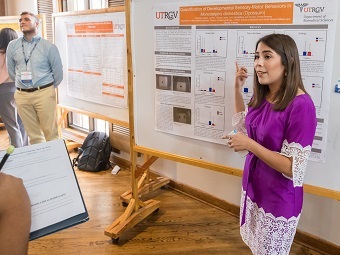 Students who are accepted into our programs enter into an educational environment, which through student centered, meaningful experiential learning opportunities, results in the development of new scientific and intellectual inquiry for the promotion of health equity in the Rio Grande Valley and beyond. 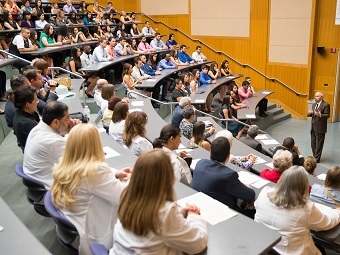 The College houses two schools, six departments, and the cooperative pharmacy program, as well as the Border Health Office and other health centers and organizations that are focused on improving the health of our South Texas Community. 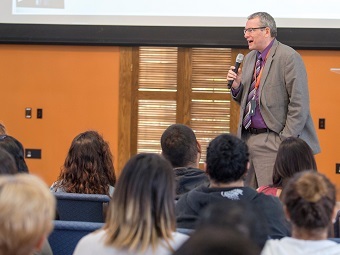 In the College of Health Professions at UTRGV, we are dedicated to training the next generation of health professionals and leaders to fill the roles of practitioner, educator and researcher in the 21st Century. We envision the College of Health Professions as a world-class institution committed to achieving the highest quality of life and health equity through education, research, and engagement with our communities. The Contemporary Research in Disability and Rehabilitation (CRDR), is an interdisciplinary peer-reviewed and open access journal, published quarterly by the School of Rehabilitation Services and Counseling at the University of Texas Rio Grande Valley. This journal is designed to facilitate interdisciplinary collaboration by publishing innovative empirical research germane to disability, rehabilitation counseling, allied health, and other disability-related fields.